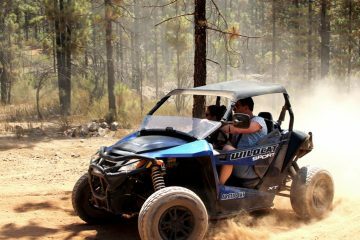 Quad Safari offers you one of the funniest excursions in Tenerife, as it gives you the opportunity to drive quads or buggies. 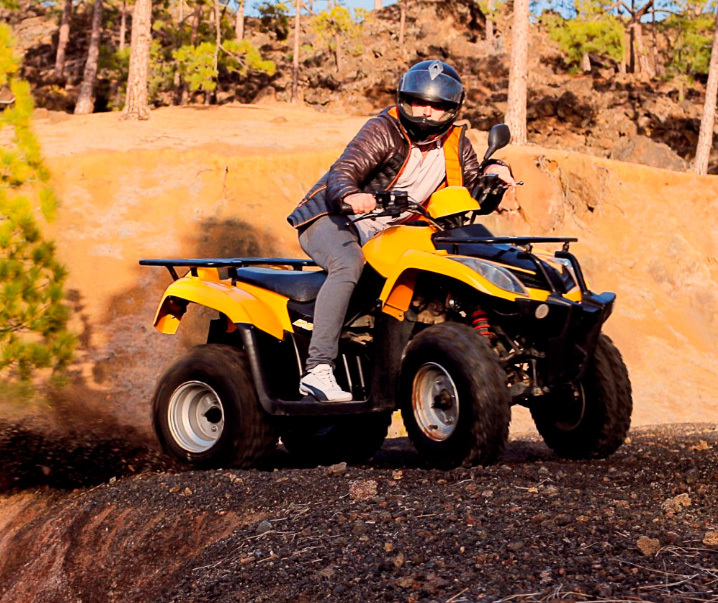 Those fast and safe vehicles allow you to reach El Teide itself, the highest peak in Spain. These two unique activities make this trip a very attractive and funny excursion within the whole island offer. Starting from the village of Chío, in the Southern part of the island, you can reach the mountain area of Tenerife. It is not only about driving buggies and/or quads, but also admiring the stunning landscapes passing before your eyes all over the way; landscapes going from Canary Island pine trees to large rocky areas caused by millions of years of erosion. Besides, the road going up to the peak makes the ride even more interesting; together with your fellow travelers, you will learn how to drive a buggy and/or a quad as you go. But the trip is not exclusively focused on driving – it also gives you the opportunity to take some pictures in El Mirador de Los Poleos, or in the last stop in El Teide. There, in El Mirador de Roques de García, you will be able to have a rest in order to recharge your batteries before starting your descent back to Chío. 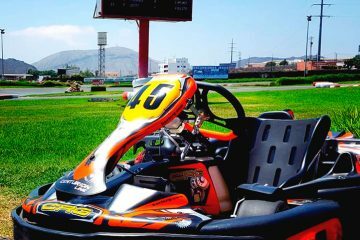 In short, this fully-recommendable excursion is perfect for young people seeking to discover new things and get into the driving of those big and fast vehicles. The passenger can be of any age.